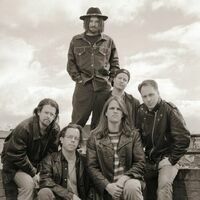 (P) 2011 Counting Crows, LLC, exclusively licensed to Eagle Rock Entertainment, Ltd. Licensed by Eagle Rock Entertainment Ltd to Edel Germany GmbH. earMUSIC is a project of Edel. ℗ 2011 Counting Crows, LLC, exclusively licensed to Eagle Rock Entertainment Ltd.